Curious about recent trends in digital transformation and how they can impact and ultimately improve the patient experience, while lowering costs in healthcare call centers? 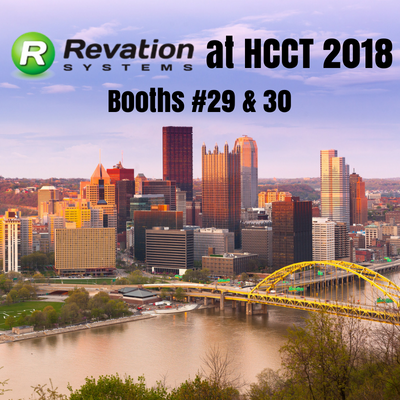 Join the Revation crew along with hundreds of other call center professionals at the 30th Annual Healthcare Call Centers (HCCT) Conference June 13-15 at the Pittsburgh Marriott City Center in Pittsburgh. Visit our team at Booths #29 & 30 to learn how our cloud-based call center solution, paired with our new outbound Campaign Manager solution, enables healthcare organizations to proactively engage with patients. Don’t forget to drop a business card in our fishbowl for a chance to win a new Apple Watch Series 2 or a $350 donation to a non-profit of your choice. See you in the City of Bridges!